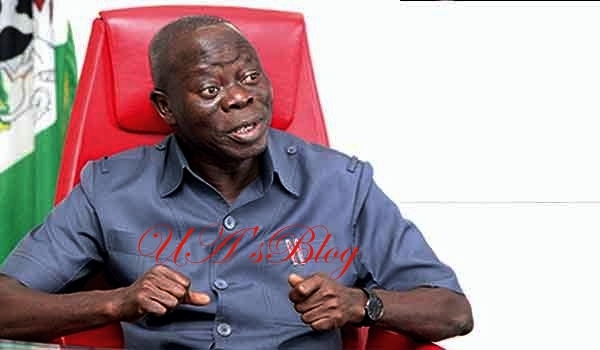 National Chairman of the ruling All Progressives Congress, APC, Adams Oshiomhole, has launched a fierce attack on former President Olusegun Obasanjo over his support to his erstwhile estranged deputy, Atiku Abubakar who is the presidential candidate of the opposition Peoples Democratic Party PDP in the next general elections. According to him, both Obasanjo and Atiku would be divinely punished at the polls in February, saying Atiku’s political infidelity would be his main albatross at the polls. Oshiomhole spoke yesterday when he received women leaders of the APC from across the local governments of his home state, Edo who were at his private office on a solidarity visit. The APC chairman also lambasted Messrs Atiku and Uche Secondus, the National Chairman of the PDP, faulting their calls for the resignation of the Inspector General of Police, IGP Ibrahim Idris and Chairman, Independent National Electoral Commission INEC, Prof. Mahmood Yakubu. He said while Atiku wants to replace the IGP, Secondus is bent on becoming the INEC Chairman with the sole aim of subverting the electoral process.